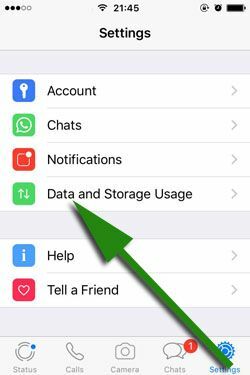 If you would like to download documents through using mobile network on your device, this guideline will tell you how to do it on WhatsApp for iOS devices. We have already told about how to do that for audios, videos and photos in the past guides of How to Chat Online before. Now we will provide a documentation for you to download these items on here. We recommend you to read the last paragraph of this page before applying all these steps. We also recommend you to check step by step guide pictures for mobile network on iOS. 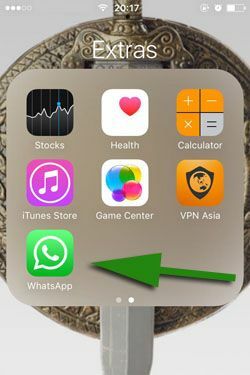 What Happens if You Download Docs Automatically with Mobile Network on WhatsApp Messenger iPhone? 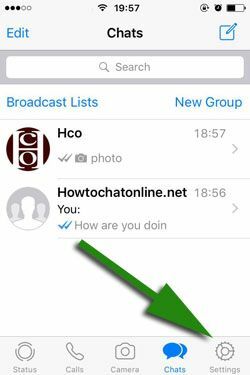 1-) Run WhatsApp Messenger on your iOS device. 2-) Tap on settings on the menu of WhatsApp Messenger. 4-) Select “Documents” from the options you will see on “Data and Storage Usage” page. 5-) Tap on “Wi-Fi and Cellular” on the page. Now, you have enabled mobile network for download documents on WhatsApp messenger. However it is not recommended to auto download for docs on WhatsApp. Please see below for more information.